We all know that moving to a new place can be a stressful task for us. But our pets also face a lot of difficulties when these transitions occur. As humans, pets can also get accustomed to their environment and can become quite resistant to change. As they can’t express their emotions as humans do, they should be provided with extra care and attention if you have to move to a different place. Here are 5 ways that can help you ease your dog’s transition to a new home. As humans, dogs don’t have the habit of looking at a clock to complete their work. They have a biological clock which they’re accustomed to and it demands fulfillment of certain needs at that particular time. So, it might be a cumbersome task for you to manage your new home and your puppy, but try and maintain the old routine that your dog is accustomed to. This will help him feel secure in a sense where he will feel change only in terms of the new environment and not in terms of routine. You might be quite excited to buy your dog new bedding or new toys to use in your new house, but this might not be the best idea. Instead, you can bring your dog’s old bedding, toys, crate, water dishes and other familiar items and put them in same places as they were in your old home. Favorites can help your pet feel in control and at home more quickly. Some pets might love to be around you while you move from one place to another while others might like to stay in their bed or in a crate, away from all this madness. You can also ask help from a friend who is willing to look after your dog when you are busy setting up your new home. It’s best that you make this decision for your dog, depending on what type of pet you have and how they might react to these situations. Moving to a new place might keep you busy for a few days. If your dog is anxious he might get in your way and hurt himself. They might even run away to someplace if you don’t pay proper attention. You can avoid these situations by giving your dog a safe place to stay. You can also tie a collar with all the necessary information that would be required if your pet gets lost in the new neighborhood. Different breeds of dogs react differently when you move to a new place. You have to be very patient while your dog settles in their new environment. Depending on the dog he might take a week, or a few weeks or months to settle in your new house. Don’t lose your patience and get angry or hit your dog if they commit mistakes in the initial days after your transition. Remember, your patience and love is the key to help your dog settle quickly in their new home. It is better to give your dog some space to settle in the new environment. It’s not fair to expect perfection from the beginning. So, love and cuddle your pet as much as you can, take them on long walks so that they get familiar with your new neighborhood. Follow the above-mentioned ways and you will see how easily your dog settles into your new house. Bravecto is a flea and tick preventive that was introduced in 2014. It provides protection from fleas and ticks including brown dog tick, lone star tick, American dog tick and black-legged tick. 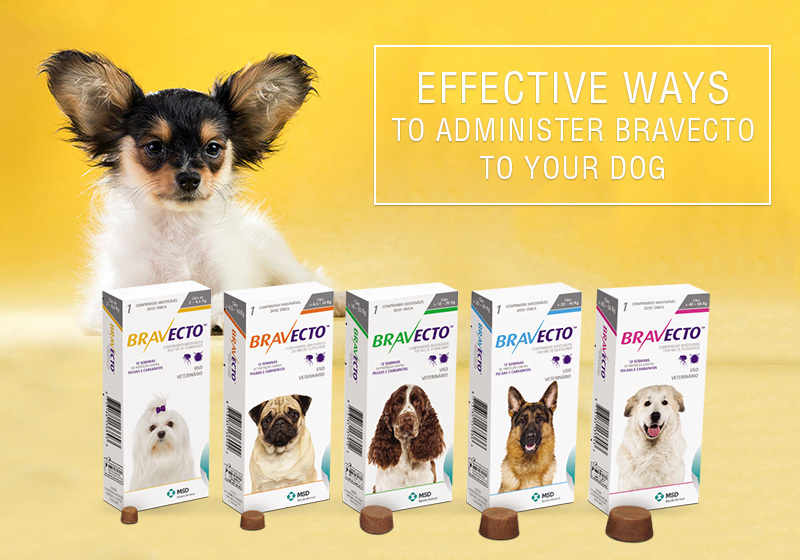 Using Bravecto as a preventive can be very convenient for pet owners as it contains an active ingredient fluralaner that is a type of isoxazoline which maintains protection for 12 weeks. 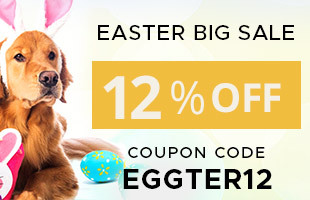 Normally, pet parents face a lot of issues when treating their furry pals especially when the treatment form is a tablet – whether to break the tablet or not, whether to mix it with food or not and many other such queries. To overcome these tricky doubts, let us find out the most effective way when it comes to administering Bravecto to your dog. Is It Safe To Split A Tablet In Half And Give It To Your Pet? A tablet having a “score” indication on them can be split into halves or even quarters. You might’ve noticed with some tablets, human as well as pet ones they have some indented lines on them. Examine the tablet properly and see if there are two intersecting lines (+) which divides the tablet into 4 parts or a single line (-) that divides the tablet into 2 parts. You can use that particular tablet by splitting it in half or even quarter doses if you see the above-mentioned indication on the tablet. If the tablet is having the above-mentioned indications you can for sure know that the active ingredients of the tablet are distributed uniformly in the tablet. This means that if the tablet is split in half, the doses of the active ingredients are also halved. If you don’t find the indications on the tablet then it is best advisable that you shouldn’t split the tablet under any circumstances. You shouldn’t split a tablet if it does not show the above-mentioned indication unless you are advised to do so by a medical professional. Apart from the facts including your pet may not be receiving the correct dose of the actual active ingredients, there’re other reasons too why it’s inappropriate to break an unscored tablet. Some tablets use a specialized coating that protects the active ingredients of that tablet. Some chemicals, when exposed to air or moisture can actually become inactivated or decompose. You can decrease the potency of such a tablet by splitting it. The tablet might also not provide you with the desired results if split. Some tablets have a unique distribution of the active ingredients that help the tablet to break uniformly. It’s not possible to use all the tablets by splitting them in half. They might crumble between your fingers if you make an attempt to split them. Your dogs might spat back some tablets at you when they are given to them. It will mostly happen because of their horrible tasting contents. To avoid such situations they are covered by a special palatable coating. It is clear from the above reasons that why at times, you need not have to break the dosage to treat your furry pal. Properly following how to use guidelines will surely help in administering the accurate dosage as per the weight of your furry friend. Well, to avoid flea and tick infestations on your dog you should administer Bravecto on them every 3 months all around the year. Please contact your veterinarian before making any decisions in regard to the treatment you provide to your pet.